As a senior in 2014, Sharyland High’s Richard Cervantes earned a fourth-place finish in the shot put at the Class 5A UIL State Track and Field Championships. 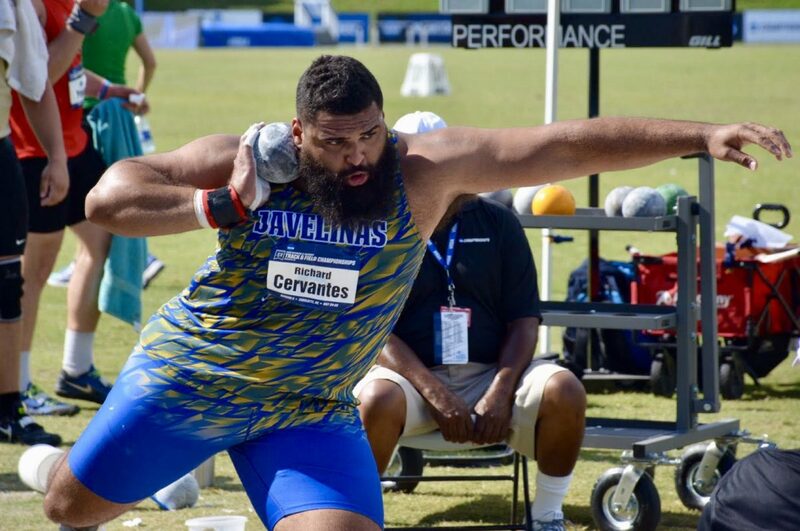 During the next two years at Texas A&M-Kingsville, Cervantes excelled at the discus and twice qualified for the NCAA Division II Track and Field Championships. He did well at the shot put, too, posting some top-five finishes, but the event ranked behind the discus in terms of his achievements. 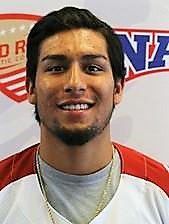 Cervantes redshirted his third year for the Javelinas. Then, just before coming back for the 2017-18 season, Cervantes made a dramatic change that may have propelled him directly to the NCAA DII shot put championship title, which he won two weeks ago. He went from being a glider to being a spinner. The 6-foot-3, 315-pound Cervantes was successful at gliding across the circle to throw the shot. However, he said he had an inner desire to do more. After years of coaches asking him to change his technique, he altered his lifelong shot put form. Although the debate between gliding and spinning has been around for years, spinning has certainly done wonders for Cervantes. Even with that power, Cervantes barely advanced through the NCAA Championship prelims to the shot put finals. He was the eighth and final qualifier. But on his first throw of the final round, he exploded for a 19.12-meter toss (62.7 feet). No other competitor was able to surpass the mark, giving him the gold. The junior earned 10 points (first place) in the shot and six more (third place) in the discus to help Texas A&M-Kingsville claim its first-ever NCAA DII national track title. Cervantes said winning the individual title was a great feeling, but knowing the Javelinas are champions as a team is even sweeter. He said that in addition to making big changes in his sport, he also made big changes in the classroom, rededicating himself to hitting the books. Making better marks in school has taken a load off his mind, he said, allowing him to compete at a higher level. Looking ahead to next year, Cervantes said he will continue to work. His goals are to win national titles in the shot and discus and compete for spot on the USA Track and Field team. He would like to earn a shot at the 2020 Olympics and beyond. Joshua Ramirez likes to run. A lot. 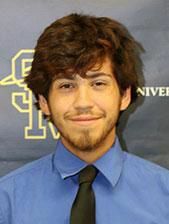 During the 2018 track season, the 2014 McAllen High graduate competed for the University of Saint Mary (Kansas) in the 800-meter run as well as the 1,500, 3,000, 5,000 and 10,000. He also ran the marathon (26.2 miles), qualifying for the NAIA national championships and finished fifth with a time of 2:43.51. He was part of a USM team that claimed three of the top five spots in the marathon run. Saint Mary is a small university just northwest of Kansas City, Missouri. Ramirez started his collegiate career at Our Lady of the Lake but has run the past two seasons with USM. This year, the junior notched sixth- and seventh-place finishes in the 5K and 7K runs, respectively, at the 2018 Kansas Collegiate Athletic Conference meet, and in cross country Ramirez finished seventh in the 8K at the conference meet. 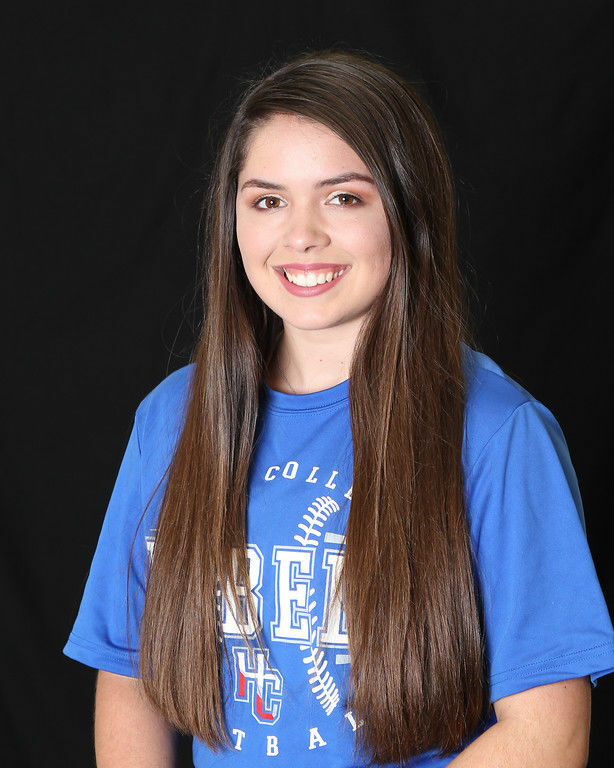 McAllen Rowe’s Christina Garcia didn’t waste any time making an impact with Hill College, a JUCO between Waco and Dallas. The freshman outfielder led the team in batting average with an eye-popping .456, which included 57 hits in 125 at-bats. She hit four doubles, two triples and eight home runs with 24 RBIs and 24 runs scored. Garcia, a two-time all-area selection while at McAllen Rowe, started 40 of Hill’s 44 games. Hill posted a 22-22 overall record on the season. In center field, Garcia was solid, handling 53 of 59 chances for a .900 fielding percentage. As a senior at Rowe last year, Garcia batted a whopping .517 with 31 hits, including three home runs, and 31 RBIs. Jacob Atkinson has no roots on the baseball field. He pitches, plays second base and is often the University of Houston-Victoria’s designated hitter. No one’s complaining. Atkinson, a 5-foot-10 junior from Harlingen South, led the team from the plate with a .364 batting average (.454 OBP) and picked up 36 hits, 21 runs and 22 RBIs in 99 at-bats. He also got on base 17 more times with walks. His RBI count ranked third on the team, and his batting average was ninth overall in the Red River Conference, the Jaguars’ NAIA league. Atkinson also took the mound in 12 games, starting two and posting a 1-6 record as a middle reliever. UH-Victoria scuffled some but still earned 10 victories in conference (14-31 overall, 10-17 in league games). The Jaguars play at historic Riverside Stadium. Built in 1947, the venue is located on banks of the Guadalupe River.